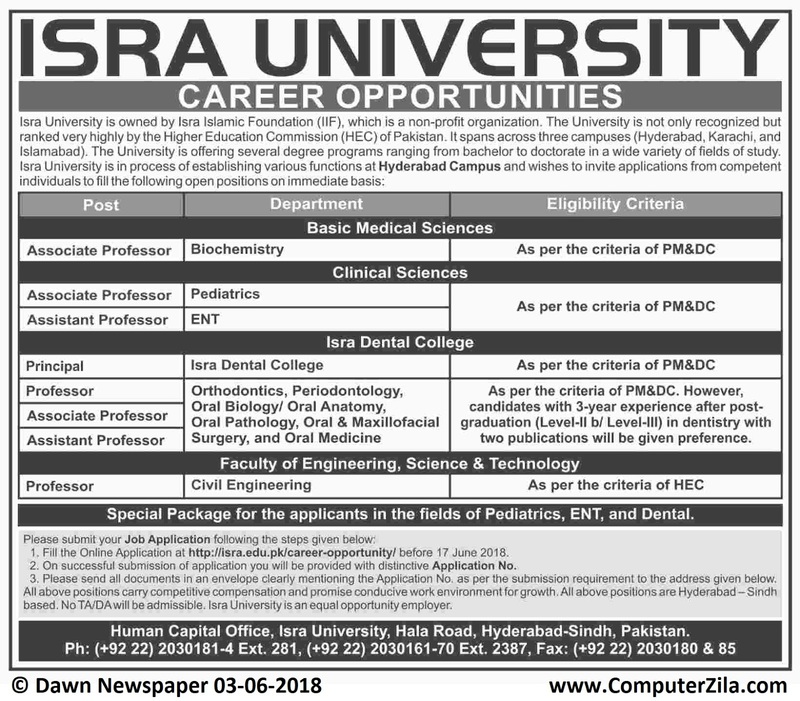 Career Opportunities at ISRA University (ISRA) in Hyderabad Cities. ISRA University is a Private Organization which requires employees for Teaching, Engineering, Associate Professor, Professor, Assistant Professor, Principal, and Medical Jobs in cities Hyderabad. ISRA University wants Job Application for the Jobs in its Hyderabad's Campus for medical departments, Basic Medical Sciences, Clinical Sciences, Isra Dental College, Faculty of Engineering, Sciences & Technology.